The Process Engineer is responsible for developing standards for all cut and sew manufacturing operations, analyzing compliance to standards and identifying opportunities for improvement. The primary objective is to increase productivity by eliminating waste and non-value added (unproductive) operations and improving the effective utilization of resources. Manage manufacturing documentation i.e. BOM, BOL, accurate work instructions process procedures and manufacturing standards (SMV’s for all operations). Documented value of annual process improvements and cost savings to be equal to or greater than two times the Process Engineer’s annual salary. however, only those selected for interview will be contacted. 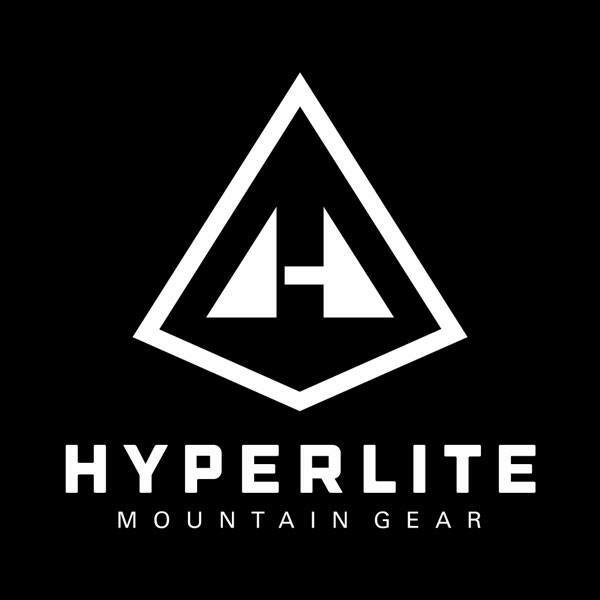 Hyperlite Mountain Gear is a rapidly growing outdoor gear company with a mission to optimize outdoor adventuring for everyone. We value our employees and encourage life-long learning, fostering everyone’s professional growth. If you’ve been in the business of sewing a while, no doubt you’ve got a good story to tell. If so, we want it! We’re working on a new project here. It’s not quite a catalog and not quite a textbook, but both together and then some. Called “The SewBiz Owner’s Manual™,” we plan to publish the first edition in the coming year. The intent is to produce a reference book you can keep on the shelf to share in your business for training, research, and sourcing. Not many people grow up in this industry as in the good old days, so there’s a real knowledge gap between wanting to produce a sewn product and getting it to market. Thus the SewBiz Owner’s Manual™ includes a narrative section on production organization, equipment, and tools. Then a resources section listing industry associations, trade shows, vendors, and such. Then a catalog section showing common parts & supplies. And finally an appendix with helpful charts like sewing machine needle sizes, stitch types, thread info, metric conversion, and so forth. We’re building the first edition from the ground up! And that’s where you come in. If you’ve got a story to tell that will be instructive and inspirational to others in the sewing business, we’d love to include it in the narrative section with your byline and photo. Before you get to writing a big article, however, please send your ideas for an article in a hundred words or less to me at the email address below. For those submissions we are ultimately able to use in the Manual – 1,000 words, more or less – we’ll pay $100 each. SouthStar’s new Bulletin #249 is now available. If you are a current customer or a recent addition to our mailing list, it should be showing up in a mailbox near you soon. If not, you can request a copy by writing us or click here to download a copy. Thank you! Not exactly being a millennial but father to two of them, I spend a lot of time wondering lately if technology is really doing us much good as a species. Sure, I know that things that come from science like vaccines and antibiotics have improved our life conditions and life expectancy significantly. The gasoline engine, cordless tools, the internet, cell phones, you name it, they’ve all made life more convenient for us in a way. Robots and artificial intelligence (AI) are the coming things, of course. I’ve been watching automation applied to the apparel industry for three decades and you know what, I’m not too worried about robots taking over the sewing business. It’s still a craft based on fashion, so only a human being working needle and thread can achieve the infinite variety needed, and no AI would come up with some of the things I see on runways – too much logic, not enough whimsy. But even with its limits, there’s no denying that technology is taking over more and more of our lives. When’s the last time you couldn’t think of a name and DIDN’T Google it to find out? When’s the last time you saw people in a line, most of whom WEREN’T staring down at their smart phone screens? When’s the last time someone asked if you’d heard the news, and you HADN’T, because you always know instantly what’s going on? On the other hand, when has a piece of techonology smiled at you, looked you in the eye, wowed you with a clever idea? Seems to me, as technology is more dominant in our lives, these are the kinds of things that get lost. And that’s why I’m glad I’m serving an industry that’s all about human creativity – with technology there just to assist. SouthStar’s new Bulletin #248 is now available. If you are a current customer or a recent addition to our mailing list, it should be showing up in a mailbox near you soon. If not, you can request a copy by writing us or click here to download a copy. Thank you! Despite what NAFTA & other trade policies have done to our beloved American SewBiz industry, with a little effort you can still find just about anything you need sewn right here in the U.S.A. Here are a couple of menswear items for which I can personally vouch. I like them so much I just ordered a replacement pair of both of these boots. The first is a hiking boot made by Thorogood. I hike from four to eight miles virtually every day at my home out with the hillbillies and hound dogs in the Tennessee sticks. My trails are steep, rutted, and rocky and include a couple of shallow creek crossings. My first pair of Thorogoods lasted two years and would have lasted longer if I had taken better care of them. You should never use hiking boots as work boots, especially pushing a shovel. You are liable to ruin the sole. I did exactly that. But that was about a year ago and I’ve been wearing them with one bad sole since then and they’re still the most comfortable, durable boots imaginable. The other thing I should have done – and this applies for the work boots below as well – is to rub saddle soap on them regularly. Over their lifetime I probably soaped them about twice. The saddle soap helps deflect moisture. Eventually there’s no hope for deflecting moisture if you don’t put some sort of protectant on the leather. Other than my sloth about caring for them, the Thorogood boots are a joy to wear. The only drawbacks are that they are a bit on the warm side in summer and they are not waterproof, meaning that even if you have soaped them well, if you submerge them above the toe in a creek they will fill with water. But for surface hiking, they’re perfect. And they provide very good traction on snow and ice. To get to the Amazon listing for the Thorogood hiking boot, CLICK HERE. The second made in U.S.A. boot is a work boot made by Chippewa, a Justin brand. They even come with little metal flag slides on the laces. And they ARE waterproof and have good strong soles for shoveling and rough use. The leather smells so darn good out of the box you’ll just about want to eat ’em. Again, they should be soaped regularly. I do a lot of digging on my land, virtually every single weekend, and these boots have held up three years through all kinds of wetness, mud, clay, and abuse. The upper finally split from the sole on one of them or I’d still be wearing my old pair. To get to the Amazon listing for the Chippewa work boot, CLICK HERE. So listen, if you’re a guy and need good boots or a gal who wants to make your man really happy with a nice gift, take my advice, try these and support some American SewBizzers in the process. When I consider that 2016 rings in our 27th year in business, I feel old! I know that a lot of you customers weren’t even a twinkle in your parents’ eyes yet when we’d already been pushing all our sew-biz doodads quite a while. Yet, there’s something about running a small business-like raising a family-that makes everything that came before seem like it happened only yesterday. When we opened in January 1989, fax machines were still the newest thing and the internet was inter-not. Hundreds of millions of people were still living under Soviet communism. 9-11 was still 11 years away and now it’s already 15 years behind us. And I can remember as clear as today Reagan telling Gorbachev to bring down that wall-and it did come down, hooray!-but also, the sickening moment I realized those buildings really were coming down in New York. Yet through all the ups and downs we kept putting one foot in front of the other and days turned into months and months to years and a quarter century flew right by us. So now I’m here to tell you from my lofty perch as an older, wizened business person: Do exactly that. Keep putting one foot in front of the other and you and your business will get somewhere in this world. Don’t let anything stop you, not an egg-sucking bad economy, not a devious rotten rival, not fears about terrorism nor cataclysm nor affluism. Heck, you want a little affluism, don’t you? You want to be tested and succeed, don’t you? Otherwise it’s a moot point. And if you fail once, that’s just that time. Keep putting one foot in front of the other. If you will do that, I guarantee you will succeed. Only death can stop you. Well, only death and taxes. Make sure you have a good accountant! And some day you’ll look back, too, and wonder how you got where you are so fast. Thank you for supporting our business, and good luck with yours in 2016! SouthStar’s new Bulletin #247 is now available. If you are a current customer or a recent addition to our mailing list, it should be showing up in a mailbox near you soon. If not, you can request a copy by writing us or click here to download a copy. Thank you! SouthStar is proud to support the efforts of the Nashville Fashion Alliance, Catholic Charities of Tennessee, and Omega Apparel. Congratulations to the team for successfully launching the Nashville Sewing Academy! We’ve been needing this for years! Click on the image above to see a report from local Channel 4, WSMV-TV. Grist Columnist: Watchoo Doin’ Here? We’re not a retail business, but from time to time we get walk-in customers. Being in Music City U.S.A., we often have folks come in who design or sew for music celebrities. That’s one reason Nashville has a fairly thriving local sewing industry. One of my favorite walk-in stories happened exactly for that reason. It was an afternoon a couple of years ago. Our landlord was in showing around a new cleaning lady, Myrna. While they were here, a walk-in showed up at the door. He said he wanted to pick up a steamer for his daughter who was making a music video in town. About that time the landlord walked by with Myrna. She looked up at our visitor, put her hands on her hips, and said, “Sinbad, whatchoo doin’ here?” I thought it was cool that she ran into someone she knew, maybe from high school. But the significance was really lost on me. I just figured Sinbad was a nickname. Only when he handed me his credit card and it actually just said “Sinbad” on it did I realize we had the real thing! I was glad to get a chance to thank him for making a TV show back in the nineties that I could enjoy with my kids. He was every bit as nice in person as he was on that show. And in fact, here’s the photo he posed for with Myrna that day. gofundme.com and search on: Myrna Berry. You’ll see why she could use a helping hand. I hope you’ll throw a few bucks her way if you can. She’s deserving. Thanks! SouthStar’s new Bulletin #246 is now available. If you are a current customer or a recent addition to our mailing list, it should be showing up in a mailbox near you soon. If not, you can request a copy by writing us or click here to download a copy. Thank you! SEAMS member Vapor Apparel is opening another plant. Due to their growth they are seeking a Qualified Sewing Division Project Development Leader. The company designs and manufactures customizable performance apparel and private label clothing. The company is focused on developing sustainable apparel solutions and has developed a “Made in the America’s” product line that maximizes a sustainable supply chain. As a team member you will be able to communicate openly, listen effectively and work well with others. Must have a sense of urgency and a positive attitude that is apparent in your work ethic. You must be eager to learn new technologies and willing to offer new ideas. The Supervisor must have 3- 5 years’ experience in Sewing Apparel with a single needle, over lock, and/or cover stitch. The candidate needs to have experience in development and sample making. Reporting directly to the Manager, you will work closely with a team of sewers and other aspects of sewing to produce quality apparel to meet customer’s deadlines and expectations. Well, a machine distributor here in the Nashville area is stepping up to do something about that. Whether you want training yourself or have an employee who could benefit, we need to hear from you if you are interested. A week-long class will cost $600 to $800 (depending on the machines covered). There must be a minimum of five students in a class to make it work. Travel and lodging is not included, but lunch is! So if you have an interest, please send us an email and let us know of your specific interests so that when the classes get going, you’ll hear about it first. April fool! I sort of remember boom times, but it’s been a good long while. If you’re under age 35 or 40 or you’ve been in business for just the last couple of decades, you really don’t know what boom times are. Maybe that’s not such a bad thing—what doesn’t kill you makes you stronger. I hope for all our sakes boom times will return. Boom times are fun! In the past hundred years there have been two really booming stretches, in the 50s & 60s after WW II (that was before my time) and in the 80s & 90s after Ronald Reagan turned the economy around. I was smack in the middle of that one. Here’s what it’s like: Success is rewarded with celebration (instead of being told: you didn’t build that). It’s hard to find employees because everybody’s working (instead of 90 million able bodies out of the work force, and shipping more in all the time). People buy stuff left and right (instead of scouring Craig’s List for every little thing). Working capital is easy (sometimes too easy) to get. But there was a lot of excitement all the time, people jockeying for better jobs, better benefits, buying, selling, importing, exporting, chasing the next big thing. Prove me wrong but that ain’t happening nearly as much these days. If you’re in small business, and you’re not voting, then the April Fool’s joke is on you. We can have boom times again, but we better get on the stick and put some people in place who will clear the way for all you young folks to have more boom, less bust; less Foolin’ and more Fun! Boom or not, thanks for your business! SouthStar’s new Bulletin #245 is now available. If you are a current customer or a recent addition to our mailing list, it should be showing up in a mailbox near you soon. If not, you can request a copy by writing us or click here to download a copy. Thank you!